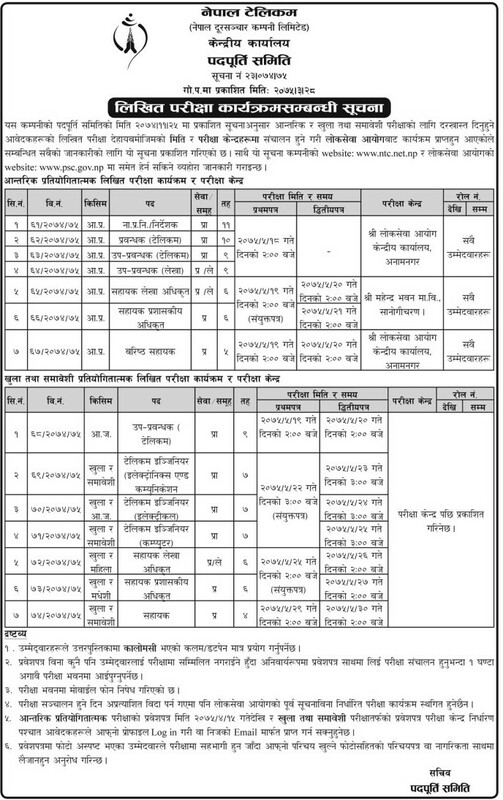 The examination begins from Bhadra 19, 2075 (September 4, 2018) onwards..
Nepal telecom has published examination dates and exam centers notice of the written examination for various positions. 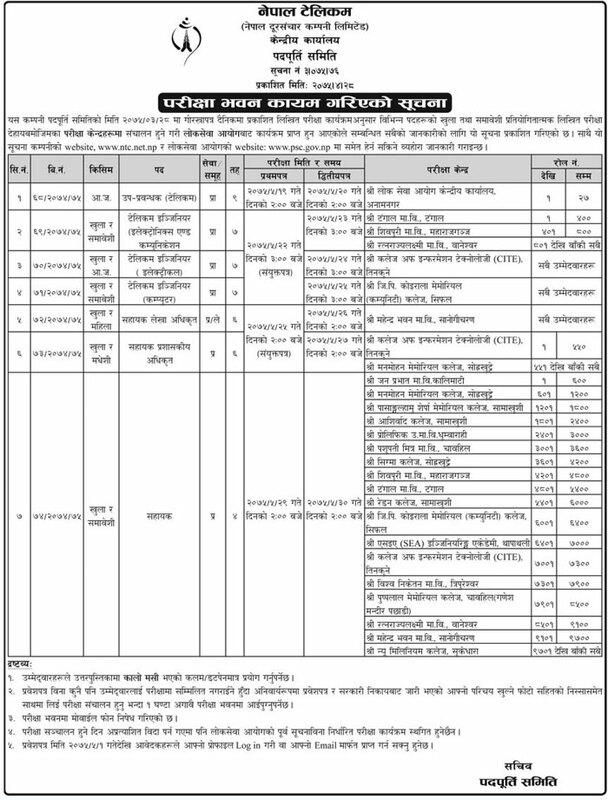 The vacancy was published on 25 Falgun 25, 2074. The examination begins from Bhadra 18, 2075 (September 3, 2018) onwards.